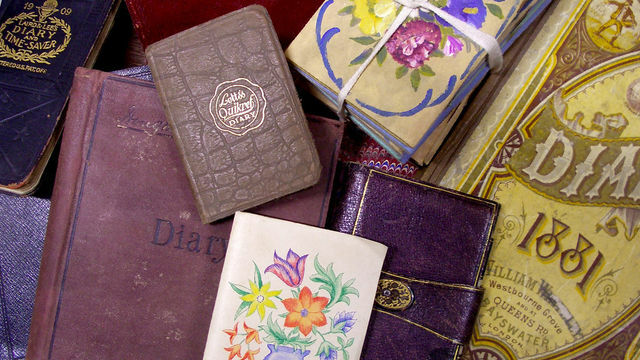 The Man Who Saves Life Stories was one of those little gems that Radio 4 produces; the story of a museum curator and British eccentric who fell into collecting diaries and is now trying to house that collection as a ‘people’s history’ thing. Along with a couple of trusty recruits, Polly North and Laura Barnicoat, Irving set out to turn the collection it into a ‘proper’ archive of private diaries written by ordinary people. The diarists are interesting, but not so much as Finkel and helpers, including the radical, anarcho-punk curator who rides to the rescue with grand plans for a social history archive at his current museum of… radical, anarcho-punk books and papers. All in all, it’s another tale of plucky British, un-funded amateurs attempting to build something significant on no more than passion and enthusiasm. This one just might work. Programme information from the BBC website. Last broadcast on Friday, June 8, 2012, 11:00 on BBC Radio 4 (FM only). The audio of this show was available on iPlayer, but you may now have to hunt for it. I would love to be the keeper of stories. I strongly believe that our power is within in our story and I hope to one day have a powerful story that I’m not afraid to share. Thank you for the good writeup. It actually was amusing.